Provide a warm and cozy touch to your décor by placing this vintage carpet. It is woven in mountain wool and cotton material. This is a runner and ideal for a corridor and entryway. This carpet is suitable for traditional home décor. 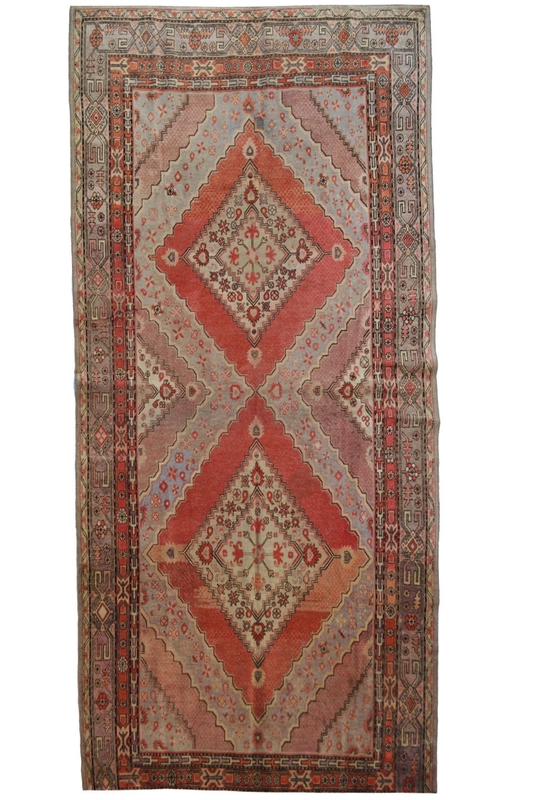 Give a vintage look to your décor by placing this beautiful runner in your home. This is woven using handknotted technique. It is made in pure natural material like wool and cotton. The ground of the rug contains two diamond pattern. The primary colors are pink and light sky blue with different shades of colors. It is a highly durable and 100% hand washable rug.